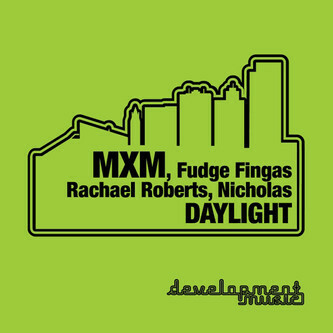 Manchester's Development Music wheel out MXM and his buddies Nicholas and Fudge Fingas for their latest deep house session. Nicholas heads up a plush and dubby remix of 'Daylight' featuring Rachael Roberts, thankfully removing the original's pesky flute and replacing it with some fat square bass moves. MXM redeems himself with the more modern-sounding electro quirks and deft drum programming of 'Rhodekill Dischord', but the highlight is evidently his link-up with Fudge Fingas, a sumptuous beatdown strut named 'Harlem Dollar$'.